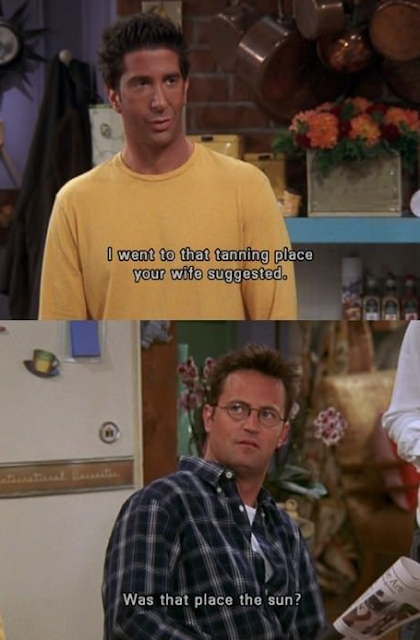 This morning I was having coffee and checking out my Pinterest homepage, when I saw this still from a Friends episode, "The one with Ross's tan". Of course I smiled, because I can totally hear Chandler's character giving that sarcastic comeback. I hope this made you smile, too. Happy Friday, everyone! LOL that is smile worthy! haha me and my sister say this quote all the time!